A little over two decades ago, things looked bleak for Oregon chubs. Though once plentiful, the small, silvery fish species was nearly wiped out due to habitat modification along their backwater ecosystem -- reducing their numbers to less than 1,000 by 1992 and prompting them to be listed as an endangered species. But now, after a plan was implemented to save them, the Oregon chub population stands at 180,000 -- an incredible recovery, say officials, allowing Oregon chubs to become the first fish to be delisted in the history of the Endangered Species Act. The main culprit in the fish's decline was the divergence of water from dams and drainage canals on their native Willamette River, robbing the species of most of its crucial habitat. Working in partnership with landowners, state and federal wildlife officials began a program to breed and reintroduce Oregon chubs into isolated ponds and streams on private properties to bolster their numbers. Meanwhile, the amount of water released by dams upriver was increased to restore normal flow to once again accommodate a sustainable population. "This is an excellent example of how the Endangered Species Act is intended to function, working together with partners to recover endangered species," says Paul Henson, Oregon state supervisor for the U.S. Department of Fish and Wildlife. 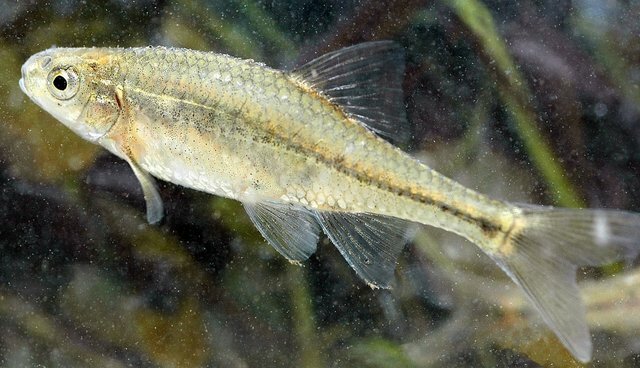 Officials say that Oregon chubs, now at healthy levels, will still be monitored in the years to come, but the threat of extinction has been successfully thwarted and the species is no longer endangered. "Twenty years might seem like a long time (to get it off the endangered list). On the other hand, if you think of the 150 years of habitat modification that went on before, it is pretty darn quick."